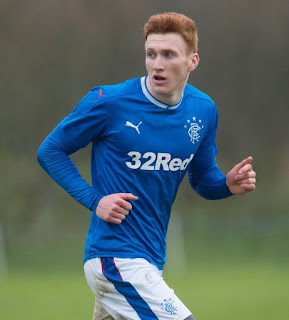 When Rangers manager Pedro Caixinha announced his confirmed defensive unit earlier this summer, he revealed that David Bates was to be one of his preferred options. The Portuguese announced that Bruno Alves, Fabio Cardoso, Danny Wilson, David Bates and Ross McCrorie were to be Rangers’ five senior defenders from which he would make his per-match selections. After a prominent role under the ex-Nacional boss last season, Bates was conspicuous by his absence post-Niederkorn, prompting many to wonder where he was and why he had been seemingly dropped. It turns out the 20 year stopper has been injured for the best part of a month and a half, and remains laid off for the foreseeable future. Bates was a surprise signing but has not let his side down when called upon. He has been a useful squad member to have to step in when numbers were down, and Ibrox Noise speaks on behalf of all Rangers fans wishing him a speedy recovery. I disagree with your assessment that he has not let his side down, he was rotten last season. David Bates is not ready to be a Rangers regular. He lacks confidence, aggression and ball watches. I was in favour of him going out on loan this season to develop those required qualities, but obviously his injury prevented this. On another note. The Dundee game. Whilst I was happy with the 3 points and most of the game. I was analysing the Dundee goal. After Alves headed the ball out. Jack and Dorrans were well out of position, as was Tavenier (have a look, it was very poor). Goal difference may play a big part this season and we need to stop this sloppyness even though we are 4 up. Cardoso is very suspect at cross balls, Dundee nearly scored twice with easy headers, quite concerning.